Student Experience will bring you news about student programs, initiatives and events on the Indiana University Bloomington campus, individual student success stories, and issues affecting today’s students. The Liberation Music Collective performs at their album release show. When most people think of protest music, they think of John Lennon’s “Give Peace a Chance” or Marvin Gaye’s “What’s Going On.” But there’s a new generation of musicians eager to make its protests heard. Meet the Liberation Music Collective, a socially conscious big band made up of 16 Indiana University students and alumni dedicated to communicating contemporary issues through jazz music. 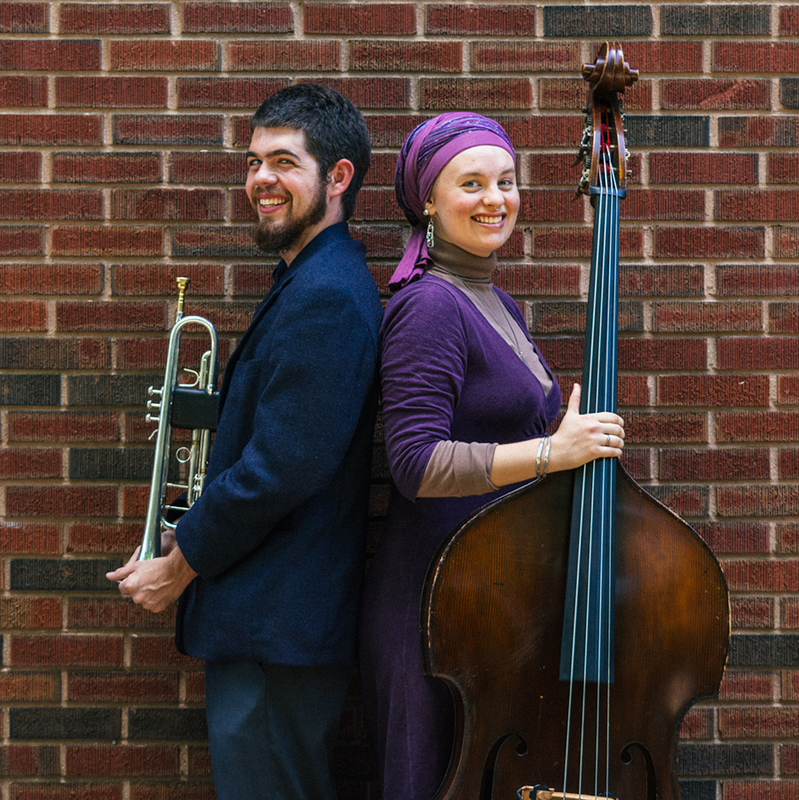 Started by Jacobs School of Music students Hannah Fidler and Matthew Riggen, the band was initially created as a way to process some of the events surrounding Ferguson, Mo., and the Black Lives Matter protests. Riggen, who was especially moved by the events, actually came up with the idea for using music as a method to raise awareness in a conversation with IU distinguished professor of jazz studies and jazz legend David Baker. Matthew Riggen and Hannah Fidler with their instruments. Photo courtesy of Jeff Browne Photography. Riggen recalled learning about the Liberation Music Orchestra, a jazz band formed by Charlie Haden in the late 1960s that dealt with social and political issues, and thought that forming a similar jazz big band would be a great way to help spread awareness. Having begun to get to know Fidler’s music in the Wayne Wallace Ensemble a year earlier, he knew she was the right person to contact to help him get the project off the ground. The two came up with a wish list of potential student and alumni performers and then held interviews to gauge each person’s knowledge or curiosity about the current political and social climate in the United States. 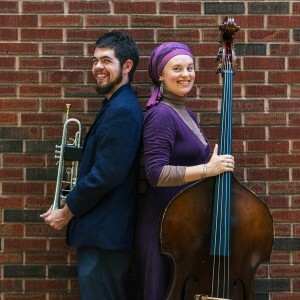 The album was released Aug. 29, and features nine songs composed by Fidler and Riggen that draw influence from a litany of social issues — such as racial profiling, international women’s rights, Islamophobia and LGBT issues (to name a few) — and are written in variety of jazz styles. Though the content of the album might come off as hard to handle (one of the songs samples the recording of the moments before Eric Garner’s death, for example), the band ultimately wanted the music to inspire audiences to make a change themselves. “If we want to make the world better, then the one-step process is to make it better,” Riggen said. The band will be showing a documentary about the making of “Siglo XXI” as well as hosting a question and answer session about the album starting at 7 p.m. Sept. 19 at the Neal-Marshall Black Culture Center. Its next live performance is Nov. 19 at 5:30 p.m. at Bear’s Place. “Siglo XXI” is available for purchase at Landlocked Music in Bloomington and online at Bandcamp, Amazon and iTunes. The Liberation Music Collective plans to have a concert tour of the Midwest in December and produce their next album in summer 2016.